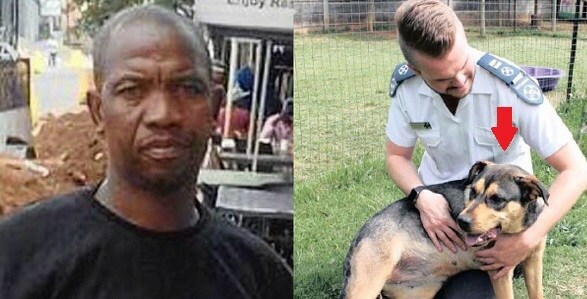 A 45-year-old man identified as Fanroi Mochachi, was caught having s3x with his neighbour’s puppy, eight-month-old Blackie, after her 10-year-old owner and his uncle the animal howling in a communal garden in South Africa. The father of six, Mochachi, claimed he had caught two dogs mating on his way to a shared toilet. He was overcome by temptation, chased the male mutt away and had s3x with the female one. “Upsetting is that you will be expected to engage s3xually with your wife, how will you explain this to her?” The magistrate said vile Mochachi’s actions and those of others like him – who had uncontrollable desires to sleep with any female, child or animal – were shameful and must be stopped. The family of Blackie’s traumatised owner and other residents were due to swear affidavits in a bid to get a protection order preventing Mochachi from returning to the property where the crime occurred, he added. The SPCA are looking for a new home for the crossbreed.